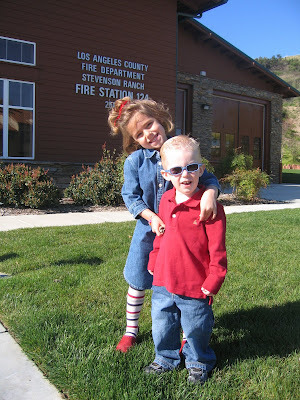 This was taken just outside the fire station here in Stevenson Ranch. 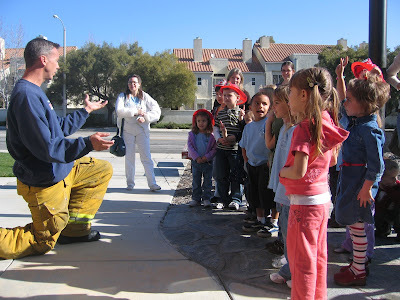 We all gathered around to hear some of the important things firemen do to help us. Madeline was reminded to call 911 for help if Mommy bumps her head and can't get up. Fireman Ryan says that one of the calls they get most are for people who have had an accident while using their cell phones. The new law hasn't affected people's ability to drive and talk...or text...at the same time. 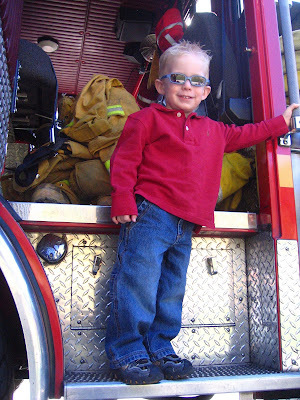 Mason couldn't take his eyes off the trucks and firemen. His interest and attention span was better than some of our 4 year olds! Fireman Ryan gave us an excellent tour through the paramedic truck, showing the kids all kinds of tools and bandages, gear and protective garments. 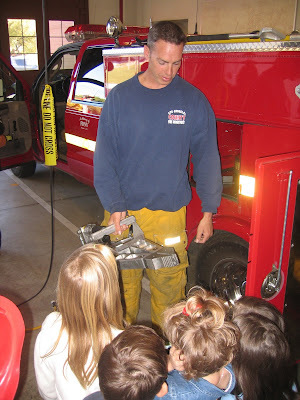 Included in the tools inside the paramedic truck were the jaws of life. 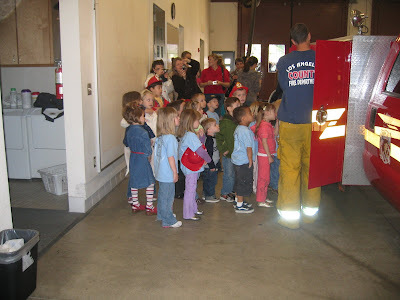 Madeline kept her hands over her ears thinking Fireman Ryan was going to turn it on somehow. This is the back of the paramedic truck 124. 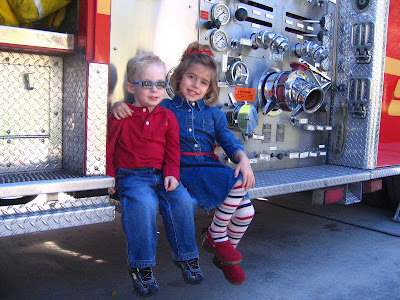 Although Mason didn't get to do some of the activities that the class enjoyed, he did hang onto the side of the big firetruck. 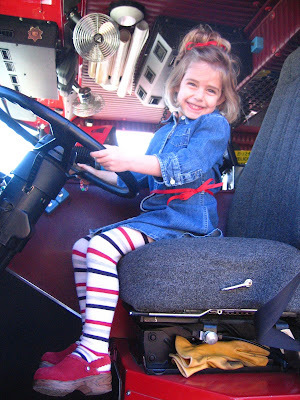 Madeline learned that the driver of the firetruck is called the engineer. 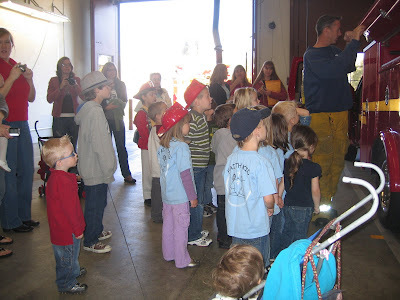 All of the children had the chance to spray water with the fire hose and Madeline loved it! 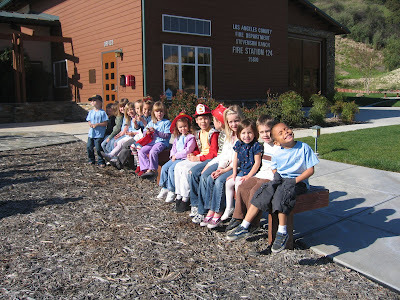 This is our Faith Kids preschool class with a few siblings mixed in. 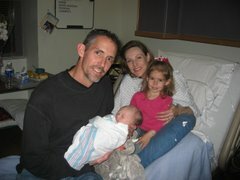 These are such precious memories for you to enjoy throughout the years and for this Grammie to be proud of. Madeline and Mason are so darling. What a wonderful educational trip for them! 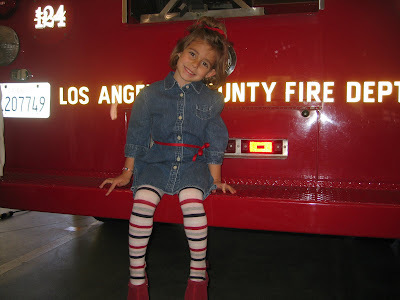 Perhaps we will see a firefighter in the family and an ear hugger! Thank you for all the neat photos of the family. Such sweet babies.